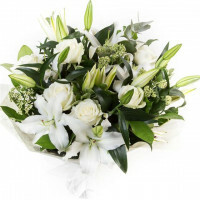 Florist Choice White Hand-tied Bouquet a lovely selection of whites and greens chosen by our expert team creating a elegant gift. Make a big impression with this surprise delivery of a helium-filled balloon. Our "I Love You" ballo.. 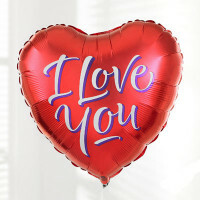 This eye-catching I love You balloon bouquet is radiant with an array of metallic rainbow colours an..